Home of the Intense Instrumental Prog group Brainard Project. Bio's, Videos, Images, and Sound Clips coming soon, please check back often. 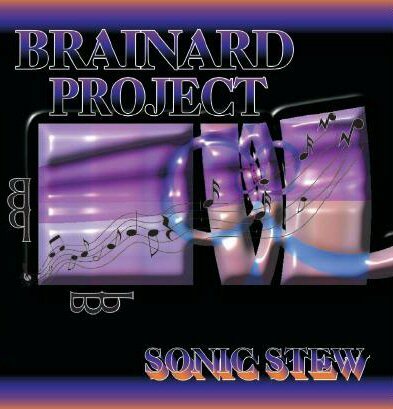 Brainard Project, an intense instrumental prog-trio, formed in spring 2006 had a goal. 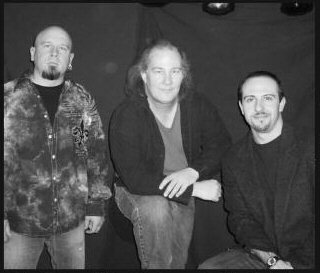 The goal was to mix progressive metal with jazz fusion. Harrington, Iskra and Privitere harnessed a musical style and technique rich in odd-meter, polyrhythms, harmonies and all the stuff that makes progressive music progressive. 4/23/2010 - The Album is finally out!!! It's available in its entirety online. Steve Harrington combined a neo-classical approached with odd-meter progressive chops and created a style like no other, intense, suspenseful and musical. With blazing solo's and intricate chords and picking, Harrington will leave your musical palette satisfied. When it comes to phenomenal bottom-end, pocket and groove Todd Iskra will have you begging for more. Todd's imaginative bass lines and groove as as deep as the Marianas Trench. Each song overflowing with great tapping lines, wicked chordal orchestrations and masterful musicianship. Pete Privitere's drum and percussion work is truly progressive. His often chaotic sense of odd-meter is jaw dropping and ever so tasteful. Every song displays imagination, limb independence, groove and chops. His drumming is precise and requires a complete and thorough listen.